I really just wanted to know the availability of tent camping, and the average costs. I have been looking online, and they all seem to be big complexes, with Bungalows, or Chalets, charging 20 Euros per person per night for a small patch on their grass somewhere. I imagine most small campsites would not have websites, so what is the best way to find them, and is it a good idea to book, or can I just turn up? There will be 3/4 of us, with 2 tents, and 1 car. Any replies would be greatly appreciated. Also if you have any comments on the route, let me know! Your route looks great..Do you belong to AAA? They might be able to help with camp sites. Don't remember seeing any on parts of this routing but didn't travel in the camping season. Have a look at http://www.eurocampings.co.uk/en/europe/ or http://www.theaa.com/self-catering-and-campsites. The AAA may have the ACSI books available, though I doubt it, but you can probably order them online - Amazon maybe? There are also apps available to help you find a campsite. In July and August it may be better to book ahead. Depends how carefree you want to be. Either get there early in the day or ask at the local tourist office. Really best to get a handbook that lists sites (paper doesn't go offline) and join a camping club as lots of sites are members only (though you can join on site). I highly recommend booking your campsites well in advance as most will be full during the summer months especially in southwest France (Pays Basque and Bearn) and northwest Spain from Navarra to Galicia. I live in France and went camping in spain a couple of weeks ago. It´s better if you book in advance for july and august. Bear in mind It´s peak time. 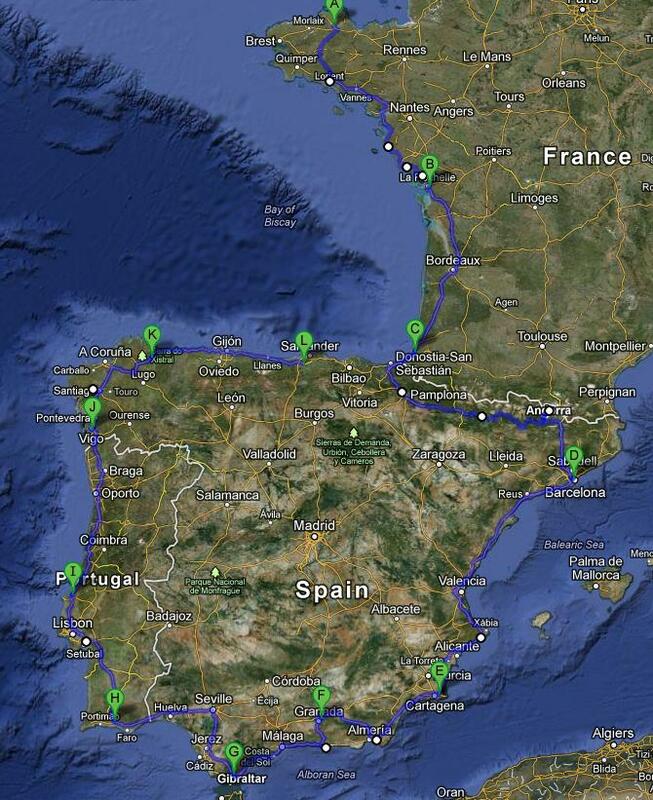 I searched the campings in http://en.camping-direct.eu/campsites-spain. You can find campings in all europe..I founded QUITE useful. Hope this info is useful. Have a good holiday! I have camped with a tent with bikes and cars for years in France and never reserved a site - even in the French Riviera in August because camps always seem to have room for tents - yes most are oriented to the RV 'camping car' style of French 'camping' but there is inevitably a corner they can squeeze a tent into - but in general camps all over France have more room - there are so so many camps - yes a guide like Johnny is great for the better-eqipped camps. And do get a Camping Carnet - this lets you leave your carnet with the office instead of your passport at times and there may be a cheaper rate and some may require them. I presume that this old post was resurrected due to some spam. Oops did not notice it were old!